The Center for War & Peace Studies seeks to create an alliance of nations who can work together productively, jointly implementing measures to promote prosperity, sustain the environment, protect human rights, and maintain peace across nations. The Center for War & Peace Studies aims to create the necessary channels so that this federation, receiving support from people all over the world, can achieve universal patronage to ensure effective governance across the world. 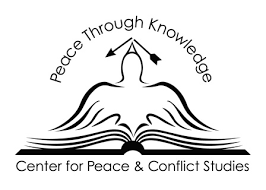 The Center for War & Peace Studies or the CWPS aims to establish universal collaboration and mutual aid in order to eliminate war and unnecessary human suffering. The CWPS was initially established to render the United Nations more representative and more effective as an organization working for effective international governance. It recognizes that while there are issues better managed independently by the individual nation states, there are many issues the warrant universal management and global solutions. 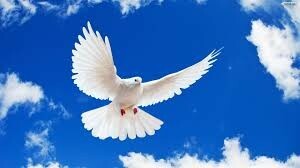 These issues include nuclear disarmament, sustainable development, and conflict resolution between countries. The United States is a result of the different states forming themselves into one body to better address issues that needed solutions formulated and accepted across the states. In a similar manner, challenges that affect all nations call for solutions that only a strong coalition of nations can provide. As the environment changes, peoples and cultures likewise need to evolve if progress is to be achieved. The massive global decline, particularly in the areas of economy, climate, and world security, makes it essential for nations to coalesce to find the solutions to ensure their survival. The Center for War & Peace Studies sees it as their mission to help facilitate this by providing the channels of dialogue, analysis, and study. It calls for international commitment to a cohesive and united effort in overcoming the crises that threaten this century.